Find out where to get the Key Card and which teleport panel takes you to the Silph Co. Office in Pokémon: Let's Go. In Pokémon: Let’s Go, you’ll need to defeat Team Rocket after their takeover of Silph Co. by finding a Key Card and then using the right teleport panel to reach the Office. After reaching the Office, you’ll need to defeat Team Rocket boss Giovanni in order to restore Silph Co. back to normal. If you’ve been having trouble finding the Key Card, or are confused as to which teleport panel to use, we’ve got you covered. Below, we’ll walk you through how to get the Key Card and which teleport panel to use to defeat Team Rocket at Silph Co. in Pokémon: Let’s Go! Defeat Archer on Floor 5 of Silph Co. to get the Key Card in Pokémon: Let's Go. Before you can head to the Silph Co. Office, you’ll first need to get the Key Card in Pokémon: Let’s Go. This Key Card can be found by heading up to Floor 5 of Silph Co. and meeting up with both your Rival and Archer (who you may remember from defeating Team Rocket under the Rocket Game Corner). Defeat Archer again, and he’ll run off, dropping his Key Card behind him. Pick up the Key Card, then make your way over to Floor 3 of Silph Co. to find the correct teleport panel on the floor. 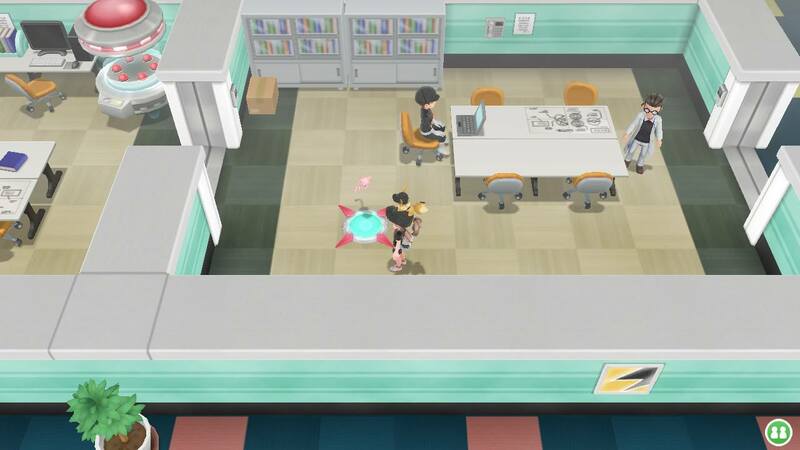 This teleport panel can be found near a Team Rocket grunt using their laptop (as seen in the image below). Head to Floor 3 of Silph Co. and use the teleport panel near the Team Rocket grunt on her laptop to reach the Silph Co. Office in Pokémon: Let's Go. Step on this teleport panel and you’ll find your Rival once more. You’ll be interrupted by Archer, but your Rival will let you know that he can handle the fight and to go on ahead. Step on the next teleport panel and you’ll reach the Silph Co. Office. Enter the Silph Co. Office, then battle Team Rocket leader Giovanni. After defeating Giovanni, Silph Co. will return to normal. As a reward, you get the one and only Master Ball! Additionally, you can pay a visit to Officer Jenny on the Northern edge of Saffron City to collect the Police Outfit Set as a reward for vanquishing Team Rocket. So, were you able to grab the Key Card and find the right teleport panel to the Silph Co. Office? How did your fight with Giovanni go? Let us know down in the comments below! 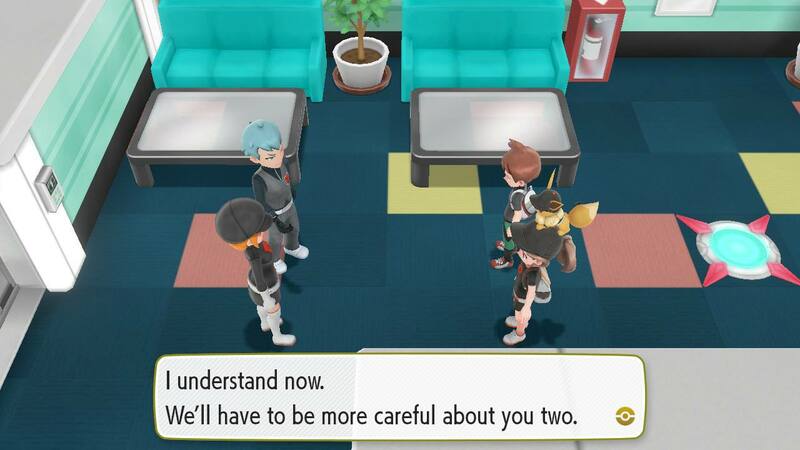 For more on Pokemon: Let’s Go, be sure to check out some of our previous guides including whether or not you can get a Fishing Rod in Pokémon: Let’s Go, how to learn all Secret Techniques in Pokémon: Let’s Go, and how to get a Moon Stone in Pokémon: Let’s Go. By reading through this guide, you should now know where to find the Key Card and which teleport panel to use to reach the Silph Co. Office in Pokémon: Let’s Go.